Dr. Sonny Goel is a renowned laser eye surgeon who is equally respected for his expertise in non-laser vision correction procedures. At his Baltimore clinic, he proudly offers a variety of treatment options for cataracts, extreme nearsightedness, and presbyopia. 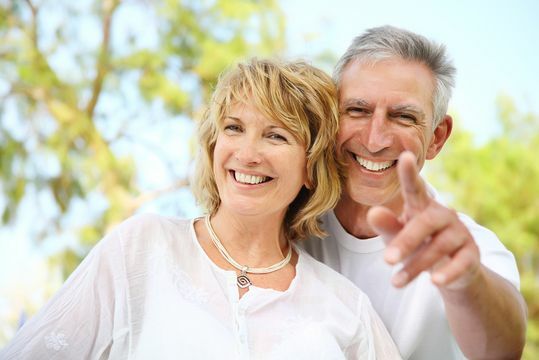 His experience with refractive surgery and his passion for helping his patients makes him a top choice if you are looking to correct persistent vision issues safely and effectively. The natural lenses in your eyes are made up of protein and water. 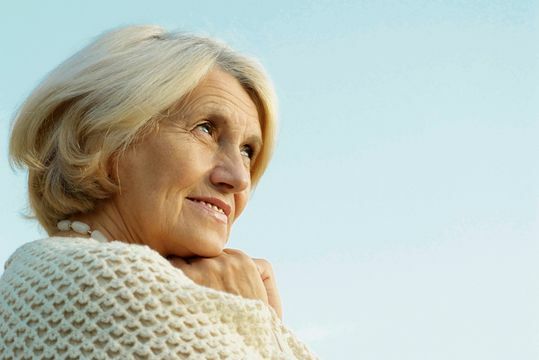 As you age, these proteins may begin to clump together, forming cataracts. These protein clumps block light from passing clearly through your eye and focusing on the retina, which transmits images to your brain. Cataracts can leave you with blurred vision, a dimmed perception of colors, and sensitivity to glare. In cataract surgery, Dr. Goel removes the lens and replaces it with an artificial intraocular lens (IOL), which functions just like your natural lens. Intraocular lenses are synthetic lenses that replace the natural lenses in your eye. Though they are most commonly associated with cataract surgery, IOLs can also be used to correct extreme nearsightedness, providing an excellent option for those who do not qualify for LASIK. 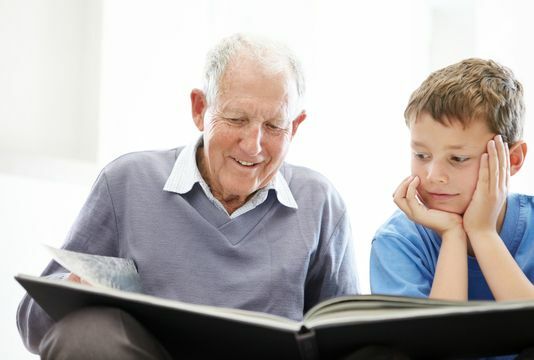 Traditional IOLs are designed for one point of focus, so if you choose to have an IOL placed, you may still need glasses or contacts, especially for reading, using the computer, driving, and similar activities. 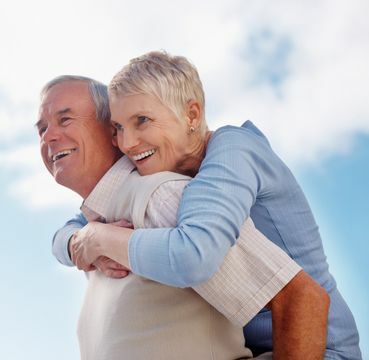 The IOL placement procedure is minimally invasive, typically requires no sutures, and requires minimal recovery time. Multifocal IOLs work much like traditional IOLs, but are designed with a series of focal zones that allow your eye to focus on objects at varying distances. Because light is refracted differently depending on where it hits the lens, your eye muscles can control the IOL much as it would control its own natural lens. Multifocal IOLs are ideal for treating patients who do not want to rely on glasses or contacts. They are also a very effective treatment for astigmatism and presbyopia. Implantable contact lenses are a type of intraocular lens designed specifically to reduce or eliminate your need for glasses or removable contacts. These extremely flexible lenses are placed in your eye through a tiny incision in your cornea. Following the ICL procedure, you will likely have vastly improved vision between 20/40 and 20/20. 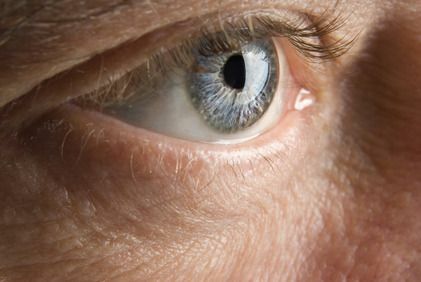 Implantable contact lenses offer many of the same benefits as LASIK, but are often a suitable option for extremely nearsighted patients, or those who are not good candidates for laser eye surgery. Conductive keratoplasty is a minimally invasive vision correction procedure designed to treat presbyopia and hyperopia. 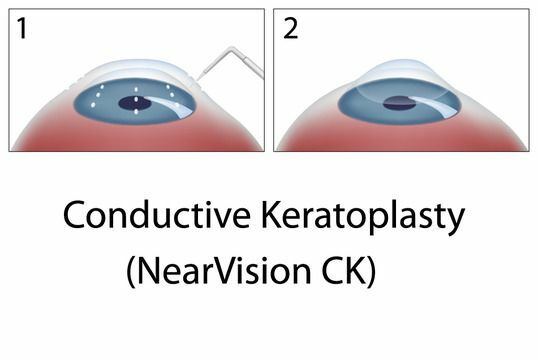 Instead of removing tissue from the eye like in laser vision correction surgeries, conductive keratoplasty uses controlled radio waves to heat and reshape the cornea. The procedure only takes a few minutes for each eye and results are noticeable immediately.